Organizations spend much time and money searching for a magic formula for the perfect forecast, yet still get bad forecasts. But it doesn't have to be this way. 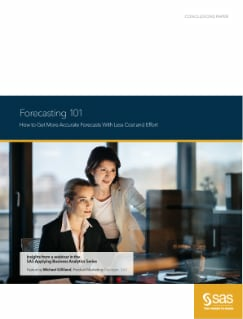 This paper provides a summary of a webinar in the SAS "Applying Business Analytics" series that discusses how businesses can achieve better accuracy and forecasting efficiency by understanding the nature of demand patterns and where the forecasting process is adding value — or not.